The concept of early intervention has been around for many years. This refers to identifying and treating a problem earlier as opposed to later. 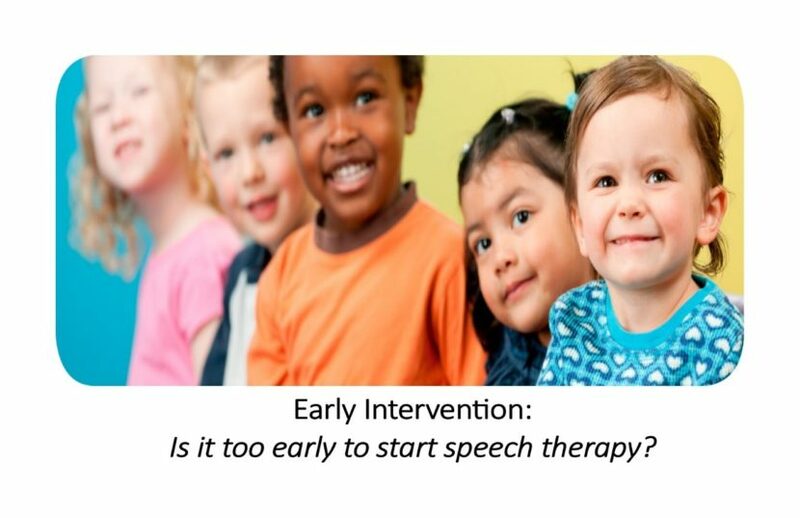 By doing so less time will be required in speech therapy as well as prevention for more serious difficulties to occur. Here are a few speech and language disorders that require early intervention. Spelling difficulties- children will always read and write the way they speak. Language disorders are common among many developing children especially when there are more than one home language present or very little language stimulation. Bilingualism– this refers to acquiring two or more languages simultaneously or sequentially. In the South African context, it is common for children to have a home language e.g. isiZulu or Afrikaans and attend an English-speaking school whereby English becomes the second language acquired. Most children will easily develop and learn both languages, however some children may have a “language breakdown” because of acquiring two languages simultaneously. When this occurs, code-switching is seen e.g. using words from both languages inter-changeably. It is always important for a child’s first language to develop however in most cases this does not happen, and children usually acquire their second language quicker due to more exposure. Specific Language Impairment- This is a common disorder whereby a child’s language development is delayed without any specific causes. Children with this condition have difficulty with comprehending and using language meaningfully. If this condition persists then learning disorders can develop which can affect a child’s reading, writing and spelling. Acquired Language Disorders- This is a condition that results when there is neurological involvement that impacts of a child’s development. Usually there are other co-occurring conditions that are also present. Speech therapy for these types of language disorders is best when identified early. Encourage comprehension: Understanding words is important. If you do not understand the meaning of a word, then you will not use the word. Describe the word to your child and reinforce the word in different contexts e.g. Ball- describe what the ball looks like, how do you use the ball. As your child is exposed to the word and the meaning then they will begin to say the word. Use gestures and signs: Children learn well in a visual medium. Act out or gesture as you speak e.g. show the action for drinking and say the word “drink”. Point to items as you say them and encourage eye contact when speaking to your child. Maintain eye contact: Encourage your child to look at you when you speak to them. This creates active listening which helps you child to look and listen simultaneously. Repetitions: Practice repeating words constantly during the day. Repetition of words helps a child to remember and process new words efficiently. The use of repetition in language stimulation helps a child process and learn new words especially when incorporated with play. Play: structured play time is beneficial to young children. Incorporate play routines in everyday activities e.g. bathing, dressing, eating etc. use sound play and animated gestures. Encourage your child to participate and engage in active listening. Reading: Reading to your child from a young age stimulates listening and comprehension skills as well as develop new vocabulary. Begin with books that are bright with attractive pictures as well as sounds. Progress onto books with more words and sentences until your child can effectively sit with you and listen to a longer story. At least of 15 minutes of reading before bed time is a great way to bond with your child and incorporate more structured learning. Ask your child to repeat words and sentences and ask them questions about the story.